Adeptus Mechanicus, Imperial Knights, Astra Militarum and Thousand Sons: Imperial Guard FAQ! We have an FAQ and errata for Imperial Guard! It's not just for the codex but also for the Imperial Armor Forge World book! You can find the list of changes and pdfs here in the Warhammer Community article. - All forge world Leman Russ tanks like the Leman Russ Annihilator and Leman Russ Conqueror gets the new Grinding Advance rule and can fire twice if they stayed still or move less than half their maximum movement. The Forge World Stormsword (which is identical to the Stormsword in the official codex) gets 2D6 shots with its main weapon. - Vendetta gunships do not get the Roving Gunship rule. Seriously, dude. The guy has 6 lascannons. I know some people are demanding for that +1 BS, but honestly, firing 6 lascannons from 48" away at BS3+ is a little overpowered. - Commissars and Lord Commissars have been nerfed. Now whenever you fail a morale test, you kill one guy, and re-roll the morale test again. I think this nerf is very harsh even if I don't really use Commissars myself (I play tank armies, mostly). At least change it to "whenever you fail a morale test, one of the model of your choice is slain and you count as having passed the morale test, but if the unit contains 11 or more models, D3 models of your choice are slain and you count as having passed the morale test. And if the unit contains 21 or more models, D6 models of your choice are slain instead and you count as having passed the morale test." Makes much more sense, right? If you're that afraid of Conscript spam, then change it to D6 models of your choice being slain if you have 21 or more models and D3 models being slain if you have more than 10 models in that single unit. I don't know. - apparently someone has been abusing Ogryn bodyguards by passing the wounds around multiple models of them, now you can't do that because it specifically excludes Ogryns. - You can gav-chute your embarked units aboard a Valkyrie at any point during its move as opposed to grav-chuting them only after your Valkyrie stopped moving. So say I move 54", I can grav chute the 2 command squads and company commander aboard the Valkyrie at the 40" mark as opposed to disembarking them at the 54" mark. - Rules lawyers who argue that the Mordian Iron Guard's regimental doctrine is useless because they claim that overwatch can never be affected by modifiers regardless can shut up now. - Tallarn Stratagem Ambush means you can't pop your dudes up 9" away and then move so that you can make a 3" charge. So no more Ambushing Rough Riders and getting that almost-confirmed 3" charge on the first turn. - Valhallan's Send in the next wave! now costs Command Points in matched play. That just nerfed the Stratagem to the ground. Ouch. Just ouch. Poor Valhallans. Not only did the Commissar suffer from a hideous nerf, their infantry-based Stratagem is nerfed to the ground. I mean I would always take an extra infantry squad with those set-aside reinforcement points rather than put them aside for reinforcements. I mean, yeah, it's flexible and can allow you to drop in an infantry squad, command squad or conscripts depending on what you need at that moment, but honestly, that's too situational to be reliable. On the other hand, the Valhallan's regimental doctrine just got a huge boost from the Commissar's nerf, so it isn't useless anymore just because you took a single Commissar to invalidate the doctrine. Hey! Maybe that was the whole point of nerfing the Commissar! So that Valhallan conscript and infantry armies see some play in matched competition rather than everyone just choosing the other regimental doctrines by bringing Commissars. - Plasma guns in Forge World's Imperial Armor now does 2 damage in their supercharged profile, but their points cost has not been changed. Still 7 points for your Elysian command squads. On the plus side, your Elysians and Death Korps of Krieg can't spam command squads because they can only take one per Company Commander. - Elysians and Death Korps of Krieg do not get regimental doctrines. Their special rules serve as regimental doctrines. - Tallarn's relic the dagger thing can only be taken by an infantry officer. Not sure who else you'll take it on. - Draconian Disciplinarian got nerfed too, and you lose D3 models if you fail your morale test again. As I said, I think it'll be better if they used my idea of losing D3/D6 models for infantry units that have more than 10 models, and just 1 for infantry units with 10 or less models. I doubt people will be listening to me, though. - Master of Command! Finally they answered this question! If your Warlord is a Commissar or Lord Commissar with this Warlord Trait, then they can issue orders to any regimental infantry unit regardless of what regiment they belong to, like Cadia, Valhallan, Catachans, Tallarns and even Militarum Tempestus! On the other hand, this obviously doesn't work on auxiliary units like Ogryns or Psykana units like Psykers (not that you'll order these guys) or other Commissars (why? ), so no abusing them. - Storm shields cost 0 points...I thought they were a special rule for the Crusaders rather than wargear or equipment? Whatever. - Oh, you only pay the 3 Command Points for the vortex missile Stratagem after you fire it upon rolling an 8, and not before. So you won't be wasting 3 Command Points if you fail to roll an 8 and get it to fire off. Still useless and absurdly expensive, though. - The FAQ for Tallarn seems a bit weird, but I assume it means you can treat 3 Leman Russ tanks as a single unit if you squadroned them, and deploy them as one of the units in Ambush accordingly. If that's the case, you should start squadroning your Leman Russ tanks. Heh. 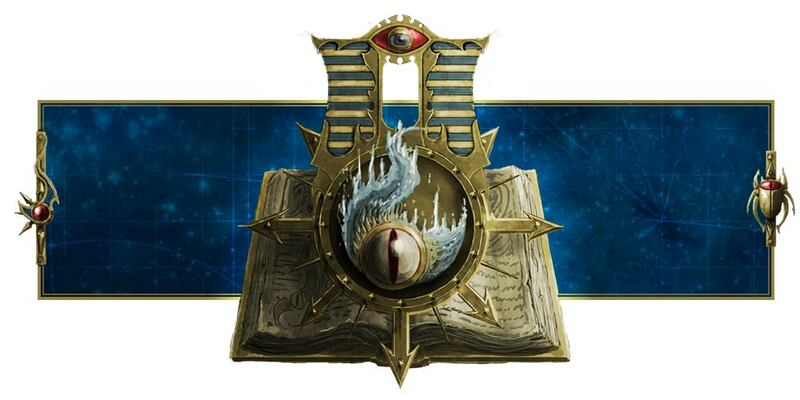 - The Astra Militarum Detachments included alongside Genestealer Cult Detachments cannot use any of the regimental doctrines, relics or regimental-specific doctrines in the codex. Instead, they all count as Brood Brothers regiments and they will have their own rules in the Genestealer Cults codex. - Death Korps of Krieg can take Shadowswords, Stormswords and Stormblades in addition to Baneblades now. Whoopee.